Today, March 8, 2013 is International Women’s Day. A day where women are celebrated around the world. I thought I would use this as an opportunity to celebrate some inspiring women who have made a difference in this world. When we talk about women who have made accomplishments that changed the course of history there are common names that often come to mind, like Oprah Winfrey. But there are so many women of the past and present who are doing things in our society, community and the world. Of course I won’t be able to name everyone but these are some of the women who came to my mind today and I thought would share with you. 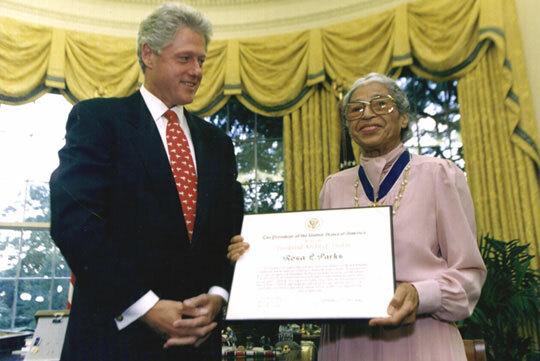 Rosa Parks with former President Bill Clinton in 1996 accepting the President Medal of Freedom. Best known as the woman who refused to give up her seat on the bus, Rosa Parks was a seamstress who became known as a leader in the civil rights movement. It was in December 1955 when she didn’t give up her seat to a white woman as the law required at that time. Her arrest and trial triggered the Montgomery Bus Boycott, which was led by Martin Luther King Jr. and became perhaps one of the most successful civil rights movements in U.S. history. Rosa Parks died in 2005 in Detroit, Michigan at the age of 92. 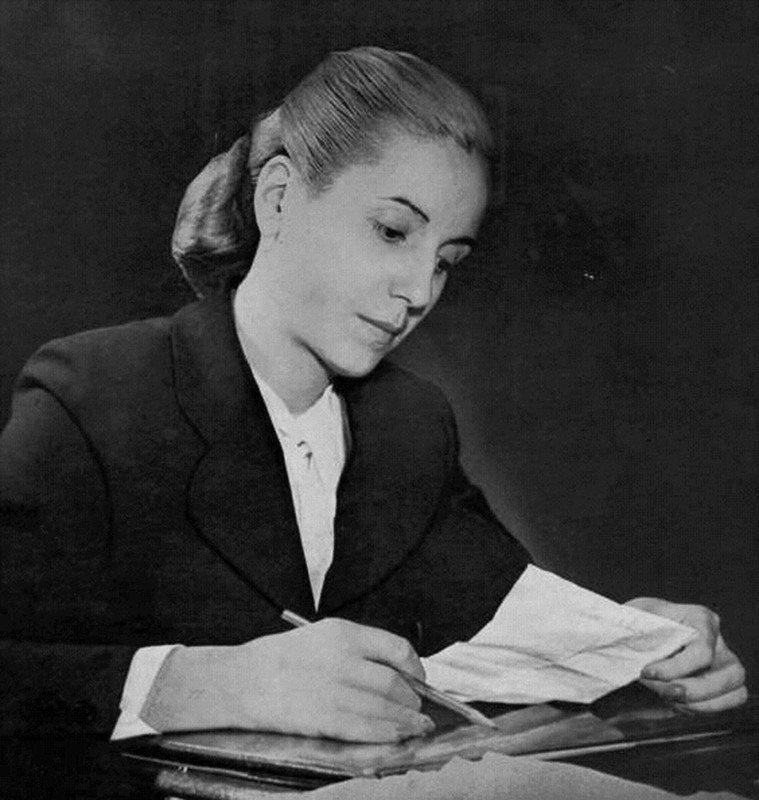 Former First Lady of Argentina, Eva Peron. Eva Perón is the most famous woman in the history of Argentina. The wife of President Juan Perón, she was the First Lady of Argentina from 1946 until her death in 1952. Perón, was loved by the people and was affectionately known at Evita. Her passion to help the masses which included the working class, poor and women, garnered so much attention that she was seen as a controversial figure of her time. She came from a poor family which helped her to identify with the needs of the people. The María Eva Duarte de Perón Welfare Foundation was established in 1947 and became a means to distributing food, clothing, medical care and money to the poor in Argentina. The upper class gave her much opposition because they were not comfortable with the fact she came from a lower class background nor did they like what she was doing to help the poor. She was also campaigned heavily for the rights of women. Being the wife of the President certainly helped her with her mission to make a difference. 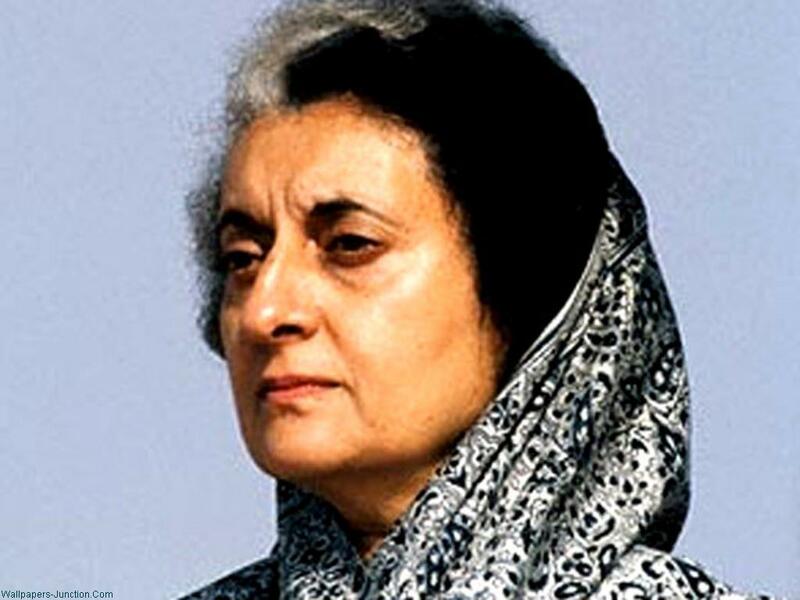 Indira Gandhi i was the Prime Minister of India from 1966-1977 and again from 1980 until she was assassinated in 1984 by her own bodyguards. She was born into a political family. Her father, Jawaharlal Nehru, was a leader in India’s independence movement and became the first Prime Minister of Independent India. Growing up in the Nehru family, it was only natural that her exposure to politics would lead her to have a strong interest in it. After her studies at Oxford she returned to India and worked for her father in his government serving as a personal assistant. When her father died in 1964 she was made the Minister of Information and Broadcasting. When her father’s successor, Lal Bahudur Shastri, died suddenly, she was appointed India’s Prime Minister by the Congress. She had many political successes including the Shimla Agreement which helped end the disputes in Pakistan that led to nearly 10 million Pakistanis fleeing to India in 1971. She also led the Green Revolution which was to tackle the issues of food shortages in poor Sikh communities. Gandhi was eventually charged and found guilty for a minor offense by the courts in India. She eventually lost that election and was imprisoned. By the time she was released she won the 1980 election by a great majority. Four years later she was assassinated. Model and Activist, Waris Dirie. Waris Dirie is a Somalian model who escaped her homeland at the age of 13. She fled to avoid an arranged marriage with a 60-year old man. Living in London, England she was discovered by a photographer which started her career as a model. She since has become one of the fashion industry’s most successful models having graced the pages of fashion magazines around the world, worked the runway for top designers and even cast in a James Bond film as a Bond girl. Dirie is an inspiring woman because she has spoken openly about her experience with female genital mutilation. She was circumcised by the age of 5 and has become an activist in the fight against this brutal tradition. The Waris Dirie Foundation was created to fight against the world-wide practice of female genital mutilation in various countries in the world. The United Nations estimates that 8000 girls are victims of this practice each day. Waris wrote a biography which was titled, “Desert Flower”. It was released in 1997 and became an international best-seller. By 2008 it was made into a feature film which put the spotlight on the issue even more. She is certainly an inspiring woman with all she has accomplished and continues doing for women around the world. With so many people in the world doing things to affect change we sometimes forget to make mention of those who are closest in our lives. Mothers. They are perhaps the biggest influencers and game changers in the world. They raise children and have the power to make or break another human being’s life. Mothers offer encouragement, they teach, inspire and instill values in children who become the leaders of the future. Let’s all remember the mothers in our lives who are the women inspiring us and everyone around us.